Best Tanning Oil for Dark Skin (2018) - How to Get Dark Fast! What Is Tanning Oil and How Does It Work? Having bronzed, tan skin is an accessory that seems to never go out of style. Although there are many sunless options, nothing can beat the beauty of a natural tan. One of the ways to reduce the time that you spend in the sun and deepen your color, is to use tanning oil. The best tanning oils will moisturize your skin and deepen your tan quickly. Keep reading to learn what you need to know about tanning oils and how to get dark skin fast. Tanning oils are meant to help you achieve a darker and deeper color quicker than tanning without any product while in the sun. Tanning oils include ingredients that moisturize the skin, such as cocoa butter, sweet almond oil, vitamin E, and coconut oil. This is important since tanning can often dehydrate your skin. Some tanning oils also contain SPF to help protect your skin from burning while being exposed to the sun. 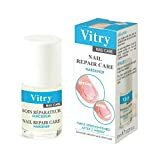 These oils will typically contain zinc oxide and/or titanium dioxide. Tanning oils work by intensifying your skin’s reaction to the exposure of UV rays. Meaning you need to spend less time in the sun to achieve the same shade tan. 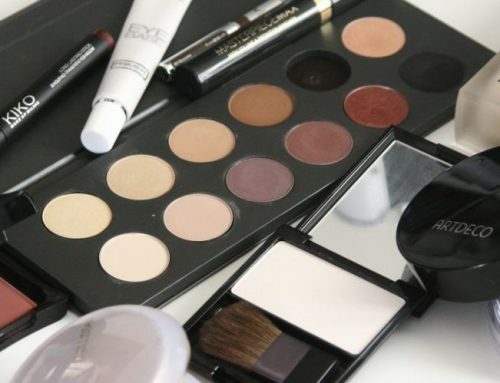 Depending on the ingredients in the oil, there are many different ways that they work with your skin to make it darker. Essentially, they all increase the production of melanin, the chemical that changes the pigment in your skin, as a response to UV radiation. The more melanin present in your skin, the darker your tan will appear. There are also some tanning oils that do not need the sun to tan your skin. Sunless tanning oils are able to give you a bronzed glow without having to expose yourself to the sun. They work similarly to sunless tanning lotions and mousses. However, sunless tanning products often do not produce a dark bronze color. Tanning oils that are not sunless are still considered dangerous, even if they do include an SPF, since they require you to be exposed to UV rays to achieve a deep tan. The protection that these oils provide is usually not effective enough to defend against the harmful rays of the sun. Since most tanning oils only offer a maximum protection of SPF 4. The CDC, however, recommends a sunscreen of at least 15 to protect yourself from sun damage. If an oil does not offer that amount of protection, then you are not being effectively protected. So, outdoor tan at your own risk. But if you do sunbathe, then we recommend using a tanning oil. While you will still be exposed to UV rays, using tanning oil will drastically cut down the amount of time you need to be in the sun to achieve the tan you want. And for extra skin protection and moisturizing post-tan, you may also want to consider an after tanning lotion. So what tanning oils will get you the darkest fastest? Well, we’ve hand-picked five of the best tanning oils that will get you bronzed and glowy in no time. The days of using baby oil to tan are over. These oils are filled with skin loving ingredients that will have you looking like you just stepped off an island fast! 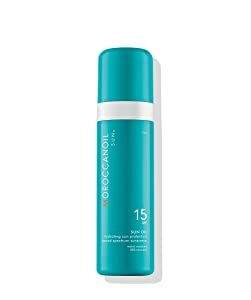 Moroccanoil Sun Oil SPF 15 (click to check latest prices on Amazon). Moroccanoil is known for its moisturizing hair products; who knew they also had a hydrating tanning oil? It moisturizers your skin with argan oil and antioxidant rich vitamins. This oil helps to enhance and extend your glow to keep you darker longer. The SPF helps prevent sunburn and premature aging that can be caused by harmful UV rays. This tanning oil has a luxurious scent that will help you feel like you’re on the islands. 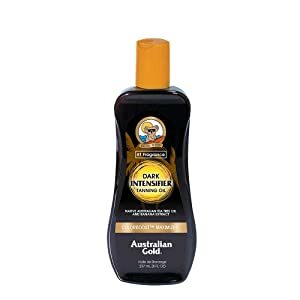 Australian Gold Dark Tanning Intensifier Oil (click to check latest prices on Amazon). This tanning oil from Australian Gold utilizes banana extract to achieve a rich and dark color. Carrot, sunflower, and annatto oil are also found on the ingredient list to help intensify the color of your tan and help it to last longer. Vitamins A and E are included to hydrate and soften your skin. The tropical coconut fragrance will always remind you of the beach. Hawaiian Tropic Original Dark Tanning Oil (click to check latest prices on Amazon). Hawaiian Tropic tanning oil is very popular for its proven results and intoxicating scent. The oil enhances your tan and moisturizes your skin with cocoa butter. Soothing aloe is also included in this popular tanning oil. The best thing: A deep tan can be achieved without breaking bank! 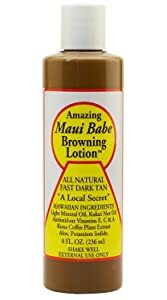 Maui Babe Browning Lotion (click to check latest prices on Amazon). This product is known as the “secret” of Hawaii for getting that tropical glow. Although this product has lotion in its name, it is filled with skin loving oils to give you a fast, deep and accelerated tan. Moisturizing ingredients like vitamin E and A help to keep your skin hydrated. There are also some ingredients that will help to keep your skin from getting burned. Sun Bum Moisturizing Tanning Oil, SPF 15 (click to check latest prices on Amazon). Sun Bum gives us another tanning oil with an SPF high enough to protect your skin. This lets you be a sun bum without risking harmful damage to your skin. The oil accelerates and deepens your tan while moisturizing with marula, argan, avocado, and coconut oil. Get a beautiful deep tan easily with this great product. Want a few other tanning oil ideas? Check out this video that also includes some less conventional oil recommendations to get a fast, even, and dark tan. Although sunbathing is not the safest form of achieving a bronzed glow, many of us still do it. Spending less time in the sun to achieve the results you want means less UV exposure. And the best tanning lotions also contain ingredients to help protect/moisturize your skin. Sure, sometimes that deep island glow just cannot be achieved with a sunless tanner or spray tanning. But that’s no reason you can’t make getting a great outdoor tan just that little bit safer. Do you use tanning oil, or will you try it in the future? Let us know below. If you’re considering a tanning bed session, we’ve got an explanation of the different kinds of tanning bed lotions currently available, as well as a couple of roundups of the best indoor tanning lotions on the market. Also check out our reviews of the best tingle tanning lotions and other tanning accelerators.